It would be grand to rebuild a replica after the plans, which must yet be extant. And today computers can make much quicker work of copying the interior aspect/decoration. Boy, what an idea to bring to fruition! I have a postcard of Deller' s cafe to my grandfather who managed the Cadena cafe inTunbridge Wells until his retirement in 1955. The card was posted in 1939 by a FE Hicks. It says there are three more rooms in addition to those shown, known as the ballroom, Bedford room and rest room which are used mainly for private parties and dances. The front of the postcard is similar to one you have on the site but does also show the glass atrium. 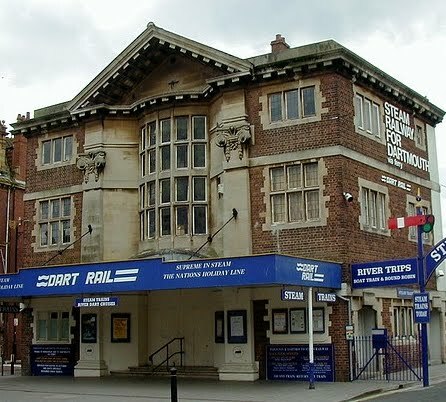 It also advertises branches in High Street, Exeter, Paignton and Taunton. 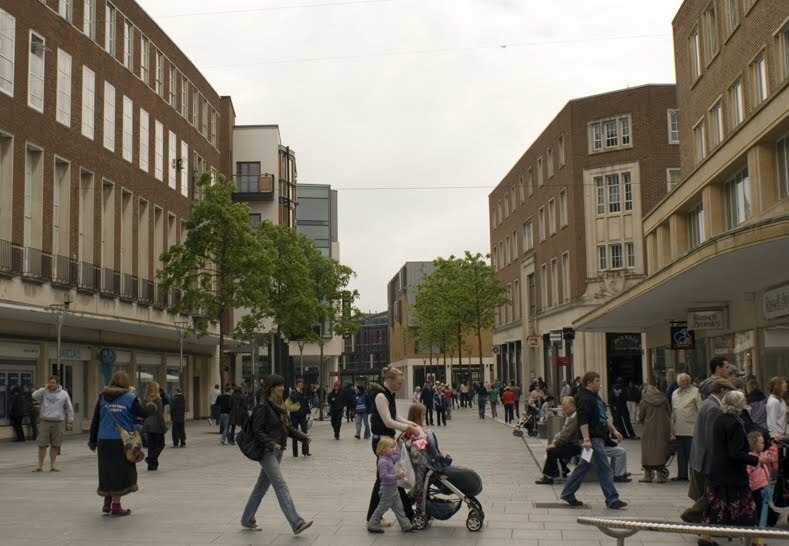 Hi Alison - it's a great shame that Deller's in Exeter no longer exists. I think it could've been the equivalent of Betty's in York and Harrogate i.e. a must-go place for anyone visiting the city. 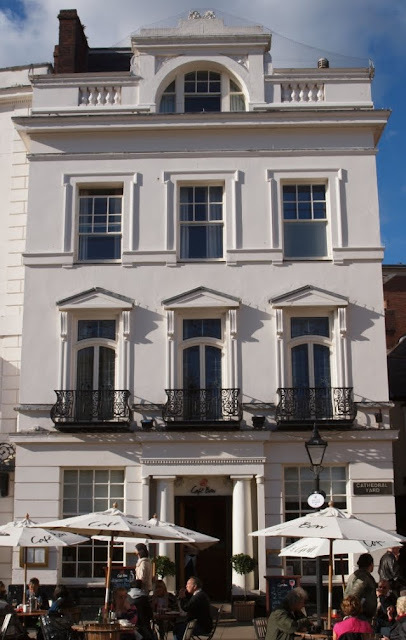 There are very few decent independent tea rooms left in Exeter. It's nearly all Costa Coffee, Neros and Starbucks. 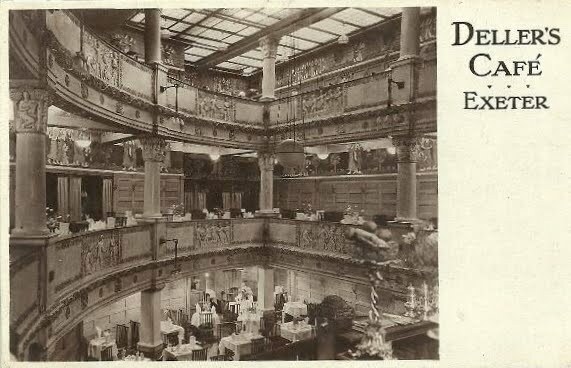 It's now 100 years ago that Deller's of Bedford Street opened it's beautiful doors, December 1916 (then sadly pulled down, with difficulty, 74 years ago). Regarding the comment at top - Hyams & Hobgen Plan 1A of Deller's is hanging on the wall of The Salutation Inn in Topsam! Westcountry Studies have a photo DVD copy. Cheers to Deller's - the Café that never had a licence to sell alcohol! 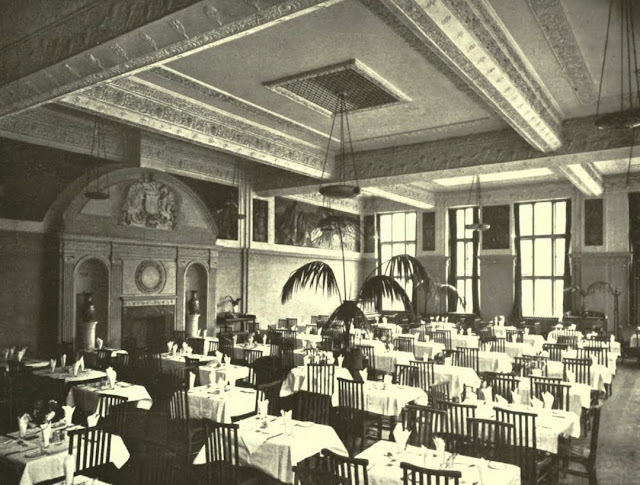 My Mother took me, as a very young boy, to tea in Deller's. 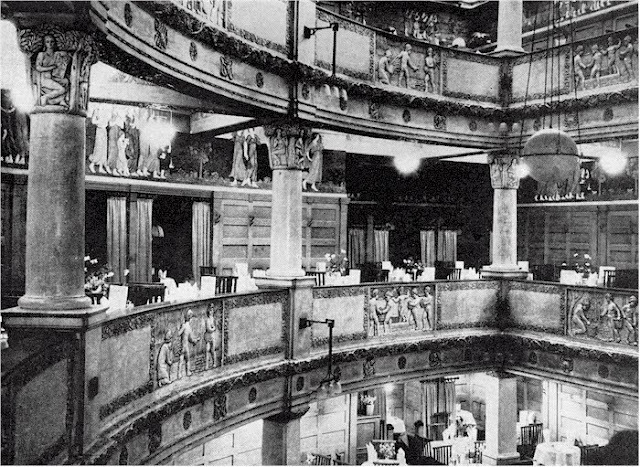 I remember looking down from the galleries and admiring the ornate interior. 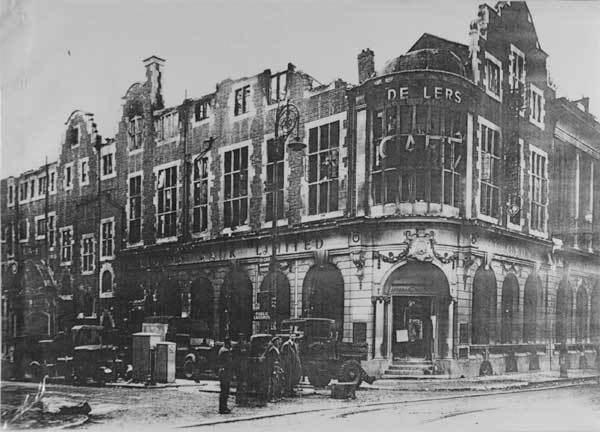 This must have been 3rd May, 1942 because that night Exeter was bombed and Deller's, along with many other interesting buildings, was largely destroyed. I am glad I have this memory.